This Sulfate-Free shampoo helps moisturize dry, damagedor over-processed hair and is perfect for transitioning chemically treated hair to natural. Apply to wet hair, gently massage and work into a rich lather. Rinse thoroughly. 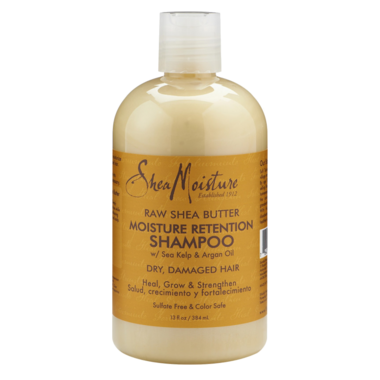 For best results pair with Shea Moisture Raw Shea Butter Restorative Conditioner. WOW. my hair suffers from kinda chronic dryness for years, they're always super straight especially at the ends and they always look the absolute worst after i wash them. this is the first conditioner that actually makes them look 10x better after i wash them, and will stay that way even after the next few days without making them oily somehow. i do combine them with the SheaMoisture manuka honey shampoo though, so it might be between these 2 products that actually rock my hair, or the combination of both. overall, i'm absolutely loving this product!